A cuddly friend for young and old! This sweet little moose is extra soft, making him the ideal present (and not just for children!) - because he wears your favourite photo on his T-shirt! 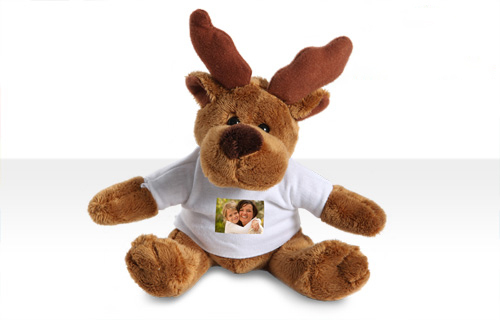 This stuffed moose is CE-certified and washable at 30°C, printed T-shirt included. 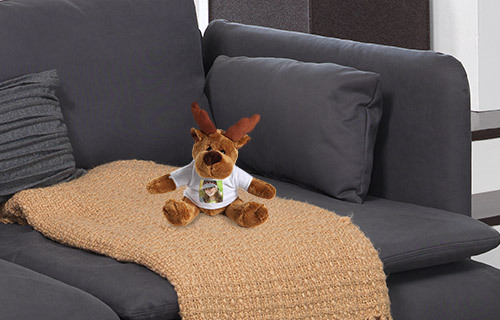 Test the moose out – you'll see how well this cuddly present goes down!